A quilt pattern from designer Debbie Field of Granola Girl Designs. 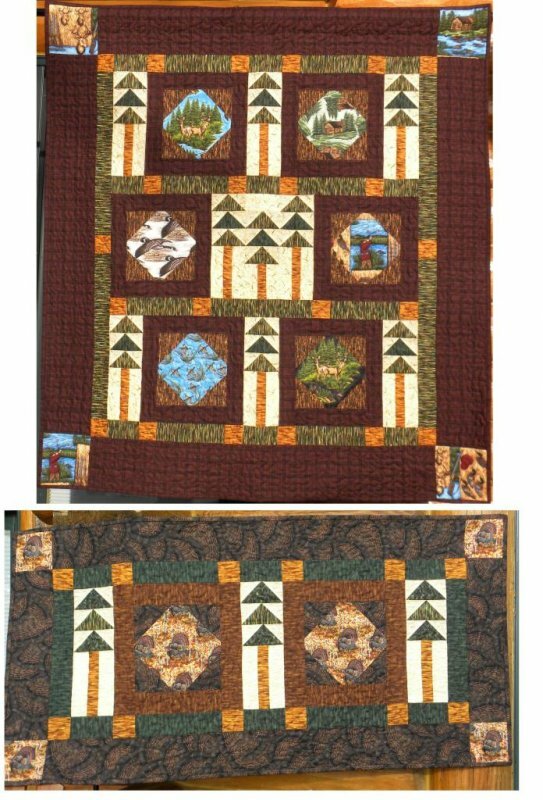 Debbie is well known for her Northwoods inspired designs for quilt patterns and fabric. This quilt pattern includes 2 projects: a wall hanging (Finished Size is 54" x 56") and a table runner (Finished Size is 24" x 48").